Today in History–May 15–the Library of Congress features San Francisco‘s second Committee of Vigilance organized on this day in 1856 to combat crime in the boomtown. Committee members were overwhelming Republicans and Democrat “crooks” were often the target of the vigilance. 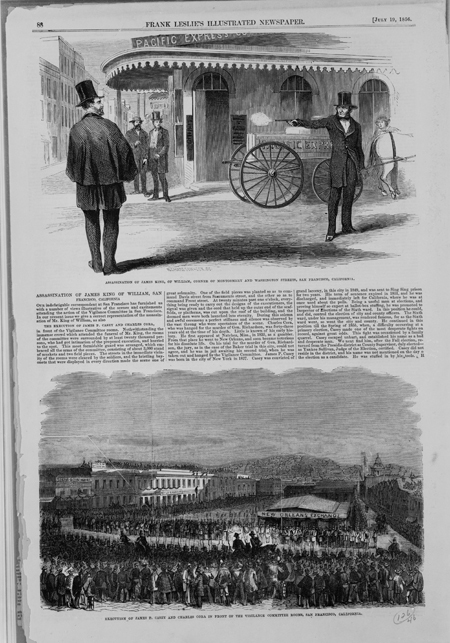 Learn more by visiting the Today in History section, then click the links below to access primary sources related to San Francisco’s Vigilance committees and vigilantes from all over.